The European Court of Human Rights is refusing to act on a year-old case from the daughter of a Dutch passenger killed when Malaysia Airlines Flight MH17 was shot down on July 14, 2014. Denise Kenke, daughter of Willem Grootscholten, accuses the Ukraine Government of failing its legal duty to prevent civilian aircraft from flying into the airspace Ukrainian officials knew to be dangerous. Her court papers say the claim is also founded on the conclusion of the Dutch Safety Board, reported last October, that the government in Kiev had been negligent in failing to act on “sufficient reason for closing the airspace above the eastern part of Ukraine”. Giemulla for the Grootscholten family said he had not applied for confidentiality, and was not informed by the court that it had been imposed. Malaysian Airlines assigned Grootscholten (below, left) seat 11D on MH17. He was on his way to his Indonesian fiancé Christine (right). For more details of Grootscholten’s life and death, see this memorial video. Giemulla is well-known in Germany as a specialist on public liability for air crashes. 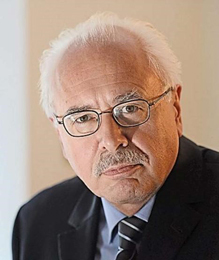 He is also representing kin of German passengers killed in the Lufthansa pilot suicide crash of Germanwings Flight 4U 9525 in France in March 2015. 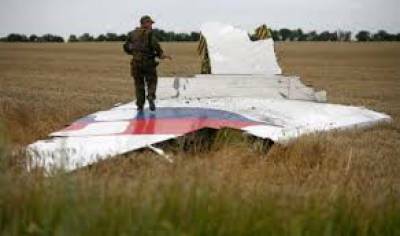 The case against the Ukrainian Government in Kiev does not depend, Giemulla has argued in the ECHR papers, on evidence or speculation about what weapon brought down MH17; who fired it; or what the cause of death for passengers and crew had been. This evidence, and the lack of it, were tested in an international court for the first time last month; that’s when a coroner’s court in the Australian state of Victoria held an inquest on the deaths of Australian passengers on MH17. For reports of that court proceeding, read this and this. 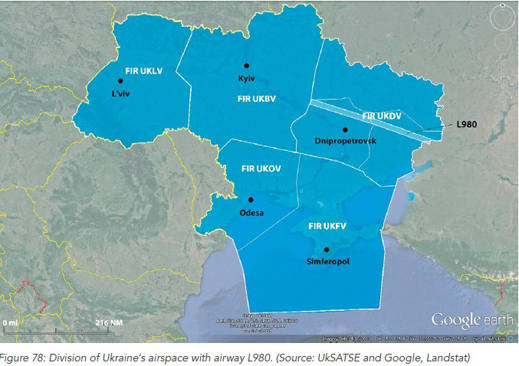 “The final report of the Dutch Safety Board from October, 2015, supports the view”, Giemulla testified to the ECHR in September, “that the government of the Ukraine bears the responsibility for the disaster because it has not closed the airspace above eastern Ukraine at the altitude of the flight plan in spite of knowledge of the circumstances.” In support, he has submitted the DSB report’s analysis of Ukrainian airspace management, military operations in the eastern region airspace, and Ukrainian government officials’ failure to protect civil aviation in the Dniepropetrovsk air traffic control area through which MH17’s flight path, L980, crossed. Published estimates from Washington indicate that before the MH17 crash, the government in Kiev was collecting $200 million per annum in overflight and air transit fees. This is a reference to Yulia Tymoshenko’s claim to the ECHR that her conviction and imprisonment by the Ukrainian courts in 2011 had been politically motivated. For more on that case, read this. Tymoshenko (above, left) as prime minister in Kiev had supervised the appointment of Ganna Yudkivska (right) to the list of ECHR judges, following political infighting in Kiev, and controversy at ECHR headquarters in Strasbourg, over manipulation of theappointment. Yudkivska has not only defended the new regime in Kiev on the court bench. She lectured at Harvard University last year on how the court is defending “democratization processes” in the Ukraine. For more on Yudkivska, read this. ECHR documents indicate this Ukrainian judge has been involved in the MH17 case, and almost certainly that she has supported the Kiev government’s request for the blackout — the decision to issue what Registrar Liddell calls the “grant of confidentiality”. In a series of email exchanges this week, Turner-Tretz refused to disclose Liddell’s name as the ECHR registrar. This was despite the publication on the court blog that his appointment commenced last month. Through his spokesman Turner-Tretz (above, right), Liddell (left) was asked: what notification has the Court Registrar made to the Defendant, the Government of Ukraine, and on what date? What response filing has been made in the case by the Government of Ukraine? On what application, on what date, and from what source was the application for confidentiality made? What Court official authorized on what date what you report as the “grant [of] confidentiality”? Liddell refused to answer. Giemulla suspects the Ukrainian government has been informed of the case, and is likely to have been given the case papers. He says the ECHR has withheld these communications from him, if it has made them. Liddell replied: “the decision to grant confidentiality was taken by Judge Casadevall, President of the Third Section. 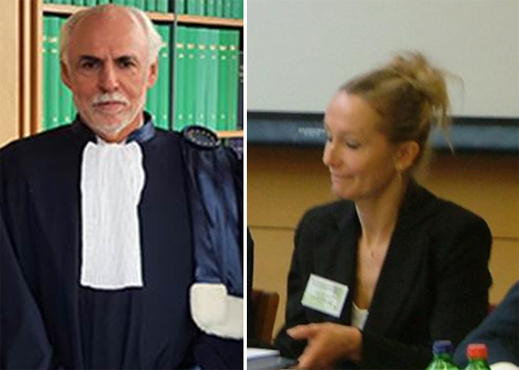 Subsequently, following the recomposition of the Sections with effect from 1 November 2015, the case was reassigned to a new Section, the First Section, presided over by Mirjana Lazarova–Trajkovska, judge in respect of the former Yugoslav Republic of Macedonia.” The implication is that Judge Josep Casadevall — an Andorran who has served on the ECHR bench since its establishment in 1998 — was taken off the MH17 case. Lazarova-Trajkovska was appointed to the ECHR in 2008. Before that, she had been a Macedonian Interior Ministry lawyer, then the director of the state election commission during the controversial parliamentary campaign of 2002. Then, as well as earlier in her career, she has been aided by grants from the US Government. 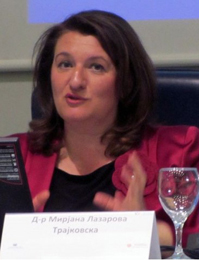 Following the outcome of the 2002 poll, she was briefly a judge of the Macedonian Constitutional Court until the government in Skopje moved her to the ECHR. London lawyers who follow ECHR proceedings closely don’t doubt that in the MH17 case the Registrar and the judges have been made aware of the Ukrainian government’s reaction. The sources believe Kiev officials have sought Yudkivska’s ruling, along with that of the Macedonian judge, to reject the Kenke case as inadmissible; close down the application without argument in open court; and keep this process secret. Dutch sources add that the Ukrainian government is pressuring the ECHR to block all claims from eastern Ukraine, as well as from the MH17 shoot-down. French lawyers have been attempting to file dozens of claims on behalf of victims of the Ukrainian military operations in Donbass. A UK human rights lawyer says the ECHR has become “notorious” for its onesidedness and political prejudice. “It’s now a Star Chamber”, he said, referring to the court run by British monarchs from the 15th century until the overthrow of King Charles I in 1641. The Star Chamber operated in secret, and its name has become synonymous with politically motivated prosecution. 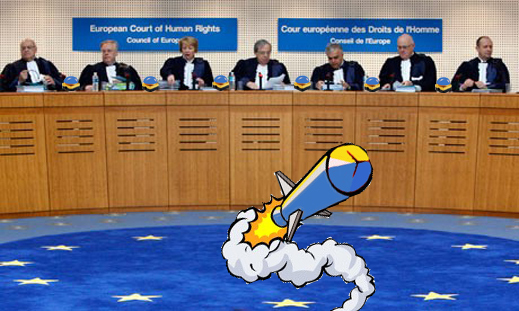 Giemulla’s submissions make it difficult for the ECHR judges to rule that the case should go to the Ukrainian courts. His papers have also met the deadline of time set by the court. Sources close to the MH17 case in Strasbourg believe Lazarova-Trajkovska and Yudkivska have been told by Kiev that they should dismiss the case because the Joint Investigation Team (JIT) of prosecutors of The Netherlands, Australia, Ukraine, Belgium and Malaysia are conducting “another procedure of international investigation”. According to the plaintiff’s court papers, the forensic investigation of the cause of the crash and the culprits is an entirely different case, and cannot be the ground for dismissing the Kenke application. Liddell is concealing the argument on these issues between the defendant and the judges.